Another winery has opened a tasting room in Woodinville. 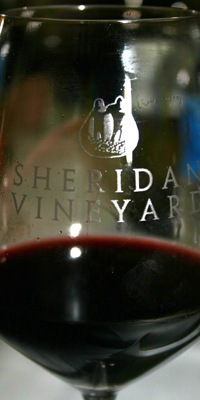 From the Yakima Valley and it’s own 76 acre vineyard comes Sheridan Vineyards. Scott Greer a former financier and self taught wine maker stumbled upon his 76 acres in Zillah, planted grapes and now makes fantastic wines.